Freedom Pools and Spas have a huge range of fibreglass swimming pools, plunge pools, lap pools, spas, concrete pools and custom designed swimming pools to transform your backyard into a leisure oasis. Pools by Design were recently awarded WA's Pool of the Year for 2015, we can transform your property and transform your life. We specialise in the design and construction of high-quality built-in swimming pools, spas and water features. Pools by Design are SPASA WA accredited, each and every Pools by Design domestic project affords you the peace of mind of the SPASA WA Completion Guarantee Certificate. Before we build your pool we provide free a comprehensive 3D design of the swimming pool and landscaping. Our service goes beyond designing and building a pool; we also beautify the surrounding area with thoughtful and innovative landscape design, including spas, water features, rock gardens, fences, solar / gas or electric heating, pool covers and blankets. Add A Splash Pools is a family owned swimming pool builder based in Perth. Over 30 years Add A Splash Pools have built a solid reputation and are WA's most awarded vinyl pool builder. Add A Splash Pools custom design every pool, so you get a pool that is right for you and your family and a pool that fits and complements the space you have. We also renovate old Fibreglass Concrete and Vinyl pools and can even change the shape and size of your concrete or vinyl pool, creating a complete transformation to add many more years of enjoyment to your pool! Builders of high quality, individually designed concrete swimming pools and spa's in Perth and Regional Western Australia. Specalising in residential and commercial concrete swimming pools. MEGA SPA is aimed at the creation of a relaxed environment for your balanced living. Premium Quality Spas for relaxation and massage - Body & Mind. Latest Technologies with unique designs and styling making them an eyecatching feature for your home, outdoor living and lifestyle. Here at Sapphire Pools, creating happy family memories is our goal. Since 1970, we have provided swimming pools to thousands of WA homes with one mission in mind; bring fun-in-the-sun to WA families by offering the very best pools at the best price. We offer an extensive range of 21 stunning fibreglass swimming pool models to choose from, ranging from small pools through to large family designs. So for the best pool at the best price from the best team, look no further than Sapphire Pools. The Water’s Edge is a swimming pool design and construction company based in Perth, Western Australia. The Director, Steve Nener, is an award-winning swimming pool and landscape designer with more than 30 years experience. The company specialises in creating custom-made swimming pools that suit any space, no matter how difficult, small or large, and for any budget. The company is a member of the Housing Industry Association Ltd (HIA) and the Swimming Pool & Spa Association of Western Australia (SPASA). We started laying tiles back in 1998, so with a rich wealth of experience and knowledge in all aspects of floor and wall tiling, we are fully qualified with a Cert 3 in floor and wall tiling with trade papers available upon request. For your peace of mind you are getting an experienced and highly qualified tradesman! Exquisite Tiling & Stone prides ourselves on first class workmanship, reliability and tidiness of all our clients' property. We are the complete package for all your tiling needs, no job too big or too small. We specialise in all areas from detailed mosaics to the mechanical fixing of large stonework. With years of experience in manufacturing pool liners, combined with the development of leading conversion techniques, West Coast Swimming Pool Liners has become WA’s most sought after pool liner installation specialist. WSCPL has built a reputation for unsurpassed quality in the provision of custom made above and below ground pool liners. With a strong vision to ensure that the fitting of the liner is above standard, WCSPL has developed a specialised technique where the lining appears almost seamless. This is unique within the industry. Whether installing a new liner into a new pool or undertaking a complex concrete conversion and renovation project on an existing fibreglass pool, WCSPL’s attention to detail will ensure that the result is perfect. West Coast Swimming Pool Liners is a member of the prestigious Swimming Pool and Spa Association of Western Australia (SPASA WA) and is commited to upholding the highest of standards within the industry. Every aspect of each project is approached with absolute professionalism and dedication to maximise a premium result. Over 15 years experience in the pool industry, we can offer you the best service at an affordable price. Need to renew and rejuvenate your pool? Why not repaint it with an Epoxy Paint, stronger than concrete and gives it a smooth finish. There is no better way to enhance your investment and enjoy it to its full potential, ultimately reducing chemical consumption and time spent maintaining it. Call us for a free no obligation quote so you can start enjoying your pool more. Unique Freeform Pools is a Western Australian pool company that provides complete Swimming Pool and Landscaping solutions for homeowners in Perth and throughout WA. We specialise in the design, construction, and installation of Freeform Vinyl Lined Swimming Pools and offer our clients a full range of associated Landscaping services, including Pool Fencing, Paving, Decking, Cabanas, Stone Feature Walls, Retaining Walls, Planter Boxes, Outdoor/Pool Lighting, Reticulation, and more. Unique Freeform Pools is a family owned and operated business with over 30 years of industry experience. We have built a solid reputation for the quality of our pool construction and high standard of customer service, and have grown to become Perth’s premier supplier of brick and concrete vinyl lined swimming pools. Each year we design and build around 40 vinyl-lined pools for installation in Perth and regional centres across WA. Our experienced team has undertaken projects in Bunbury and as far north as Broome. When you enlist the services of Unique Freeform Pools you can rest assured that all work is carried out to the highest industry standards. We take care of everything from the initial pool design and shire approvals to the construction and electrical work. 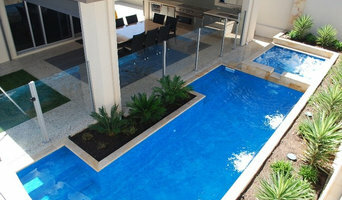 Boutique Pool Renovations is Perth's swimming pool restoration specialists. 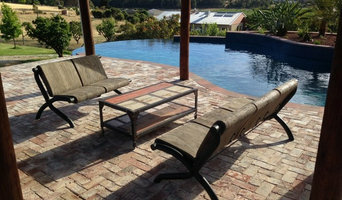 Custom tailoring pool renovations to suit you individual pools needs and your budget. We have a range of options to suit your concrete or painted swimming pool. For 17 years Boutique Pool Renovations has been at the forefront of pool resurfacing technologies. Improvements in technologies has reduced the cost of resurfacing swimming pools and has changed the pool restoration product selection greatly. Pool-Safe Glass mosaic tiles engineered to be installed in your swimming pool is part of our extensive range. Combined with a mobile showroom, Boutique Pool Renovations can offer a level of service other pool remodelling companies fail to reach. Australian and New Zealand pool builders continue to push the boundaries in terms of design. Infinity pools, for instance, are no longer reserved for top-end holiday resorts; and lap pools aren’t standalone additions to a backyard. You can now get your feet wet in an infinity pool, lap pool or swim spa that is an integral part of your Perth, Western Australia home design. And, with improved technology, there are more low-maintenance, energy-efficient and sustainable options available. 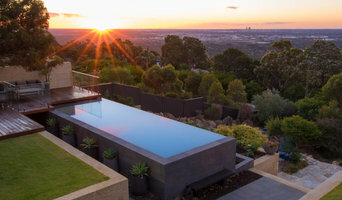 Whether you’re at the beginning stages of planning a pool or spa, renovating an existing one, or just need upkeep assistance, there’s a Perth, Western Australia pool specialist on Houzz who can help. What does a pool and spa professional do? To determine an appropriate pool design for your property, a pool builder will asses your outdoor area and how you intend to use the space. Providing them with a site plan will help fast-track this process. Your builder can then assist you in applying for a building permit. After council approval, your contractor will commence construction, which can take up to two weeks for a fibreglass pool and longer for a concrete pool. Some companies in Perth, Western Australia extend their services to pool fencing, landscaping and the coordination of trades for filtration and heating equipment, as well as pool cleanings, water testing, renovations and equipment replacement or repairs. Here are some related professionals and vendors to complement the work of pools & spas: Garden & Landscape Supplies, Landscape Architects & Designers, Building Project Managers, Landscape Contractors & Gardeners, Solar Power Contractors. Once the pool installation is complete, your contractor will show you how to operate any equipment such as pool lights and water features, as well as how to maintain the best water quality. What type of swimming pools do you specialise in – above ground pools or inground pools? Find a Perth, Western Australia swimming pool and spa expert on Houzz. Scroll through this page to find professionals in your area that can design, supply and install fibreglass pools, concrete pools and spas. You can browse their portfolio, read reviews and see how other homeowners rate their service, expertise and product. You can also look through Pool Photos to find designs you like, then contact the professional who worked on them.